Utah resident and partner of Carry the Future, Sarah Parson, felt called to action as she watched the refugee crisis unfold. 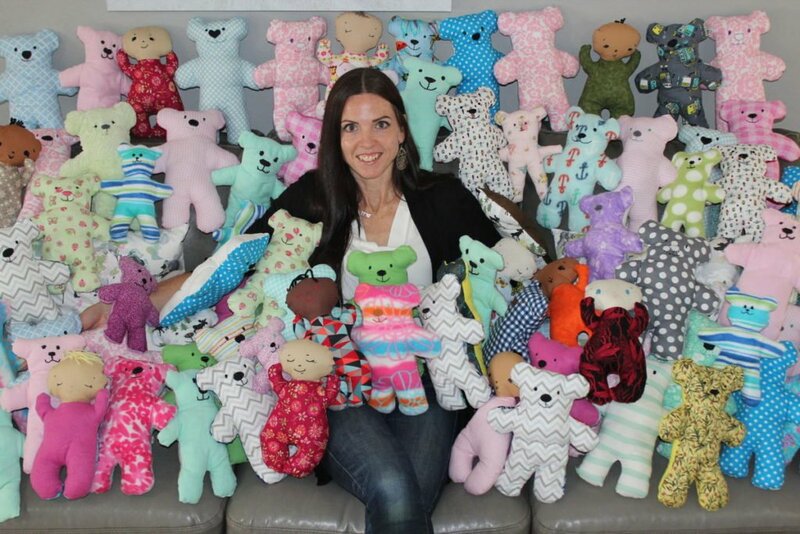 Each story and viral image found a place in her heart and planted the seeds for Dolls of Hope, which gives handmade bears and dolls to refugee children living in camps overseas. Children are children, no matter the country or condition of their life and they deserve to have a childhood. Through word-of-mouth and social media, her idea blossomed into a national organization aimed at helping the littlest ones. Sarah graciously gave us some of her time to talk more about her project and share her excitement about partnering with Carry the Future! Sarah, so many of us feel a need to help refugees. What inspired you? My Grandmother was in the Holocaust and even though she survived, she lost all of her family and her home was destroyed. I really relate to the experience of the refugees fleeing Syria. Wow, that’s not a common story we hear much of. What led you to choose creating dolls? I just want [the children] to feel loved. They’re playing with rusty nails and scraps of wood, insects and scorpions – anything they can get their hands on. I just couldn’t get it out of my heart. 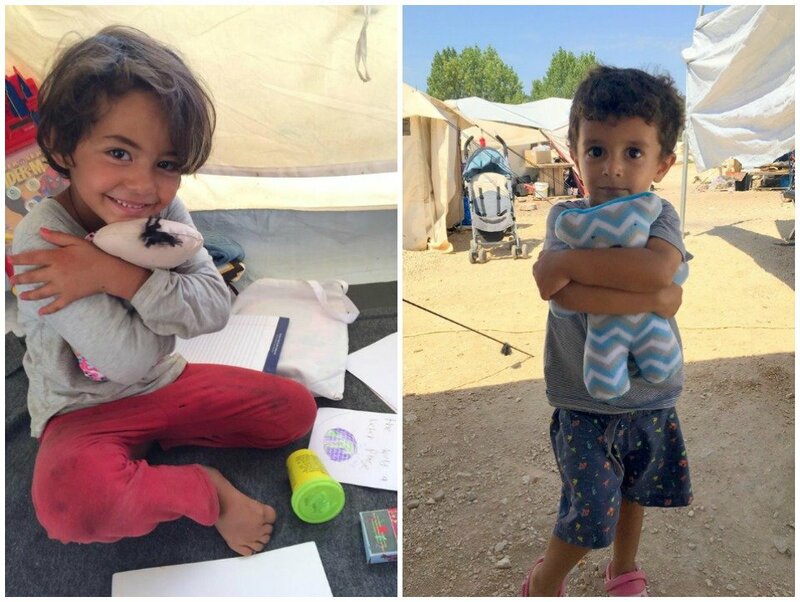 I was inspired sitting in the car with my kids; refugee children had nothing to play with and nothing to comfort them. I had made some dolls for my children before, and decided I could do that. How can Carry the Future volunteers support Dolls of Hope? As part of our Me2You Campaign, we have invited CTF volunteers to make bears and dolls to be distributed in refugee camps. So far, we’ve sent over a thousand dolls, and hope to make even more this year. We actually have people all over the world making and sending these; it’s been humbling to see such an outpouring of love. Sarah’s work complements all the good we’re able to do at Carry the Future. We’re always looking for projects and initiatives to improve the lives of refugees. 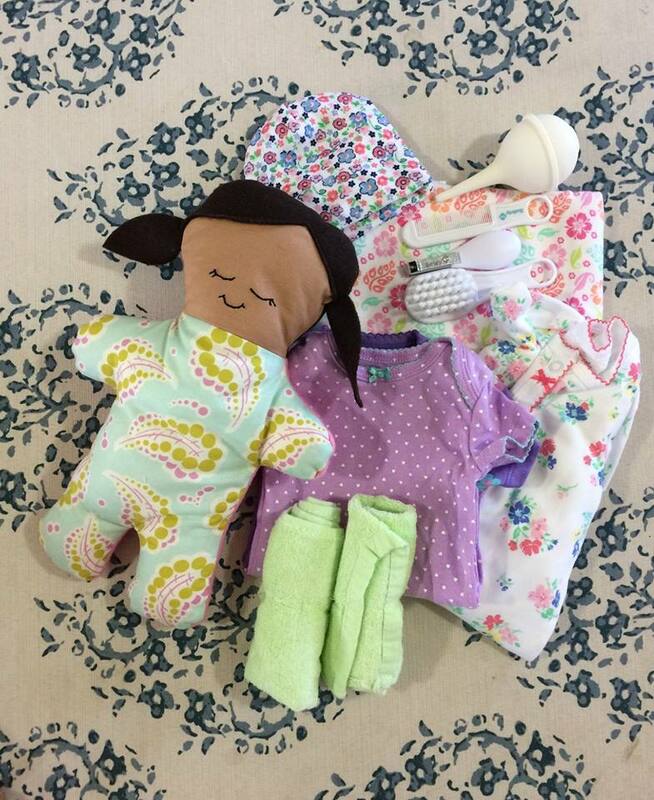 Dolls of Hope is our newest campaign and a perfect way to get involved. Grab your tribe – your knitting group, your book club, your girl scouts troop – and spend an evening making Dolls of Hope. You can find the doll and bear patterns here, as well an information on where to send your finished project.